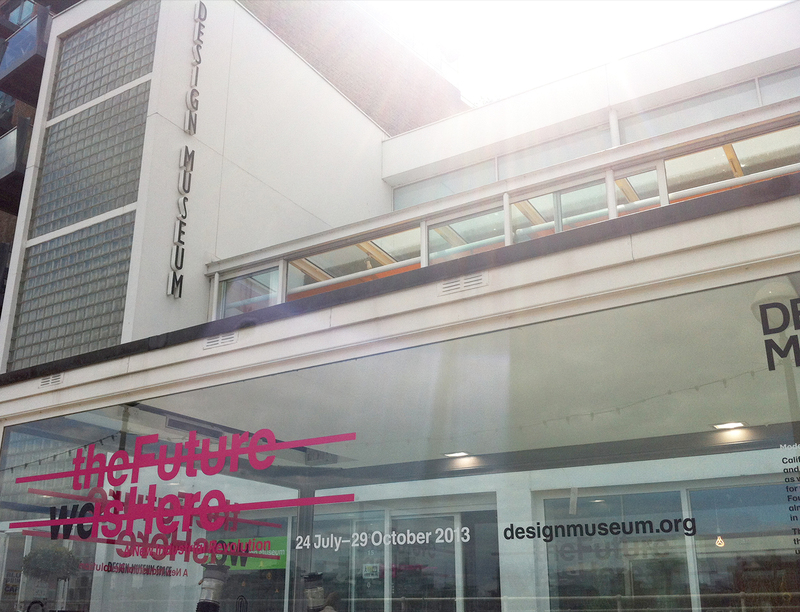 the design museum is currently showcasing technology that could play a significant role in tomorrows manufacturing industries. on display at the future is here are a range of machines, materials and design approaches that may become more commonplace in the next few years. upon arriving, i didn’t feel like i had stepped through a wormhole into the future. its more than likely that you’ve seen a lot of the projects on display if you come from a design or tech background. projects such as algorithm-driven heatsinks, extreme shoe customisation, crowd-sourced design, 3d printed skull plates, open-source computing like raspberry pi and arduino all make an appearance here. 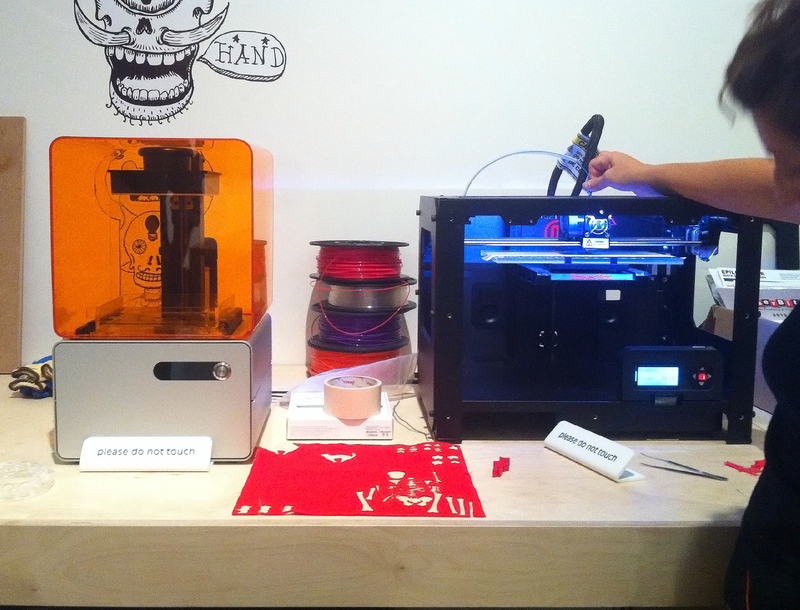 the biggest draw to the show, it seems, are the 3d printers. despite recent media interest in ‘affordable’ 3d printers for the home, the show is not entirely spotlit on these machines. in one corner are a few live printers and laser cutters humming and whirring away.one of the aims of the exhibition is to demystify these design tools so it was good that their full capabilities were on show. here is a half printed frog, a broken butterfly and a souvenir eiffel tower. its not quite the manufacturing revolution i was promised by the media but as demonstration pieces it opened up a lot of exciting possibilities, especially for many of the kids attending the show. 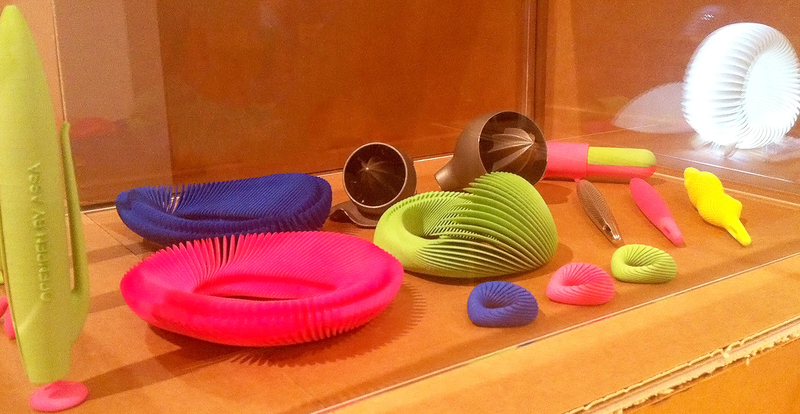 there are far more interesting prospects at the exhibition but none were attention grabbing as the 3d printers. its a bit disappointing these machines have become the face of this supposedly new industrial age. they are expensive tools that will be rapidly phased out. the future should feel exciting and bring permanent change. it was hard to get enthusiastic about fragile and jaggedy animals. elsewhere there are examples of more practical 3d models. the museum has borrowed rapid prototypes and development pieces from the likes of made and lexus. its always interesting to see physical elements from the early stages of a project and see how they relate to the finished article. ucodo (user co-designed object) is a platform allowing designers and businesses to develop new products. the items above demonstrate co-designs with designer assa ashuach. a lot of the products at the show have this very complex, organic, sculptural form. this is the result of being able to design shapes and objects without strict parameters. stuff like this isn’t really my cup of tea. this visual identity for the future is beautiful but it certainly isn’t practical. instead, i am very interested in products that can be used for long periods, perhaps a users lifetime. so unsurprisingly, the highlight of the show for me was the area themed around sustainable design practices. in particular, a few projects that outlined the challenges in creating emotionally durable products. 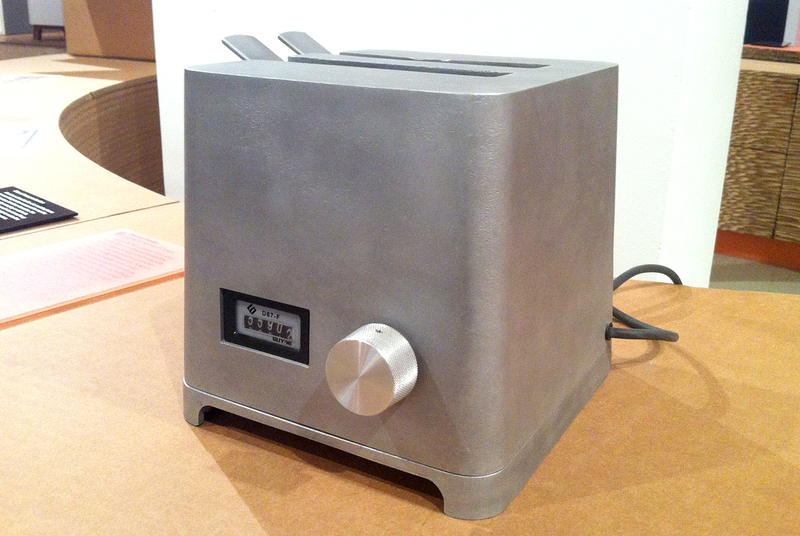 the optimist toaster is one of my favorite design projects and i was pleasantly surprised to finally see it in person! it is one of a series of toasters by london-based the agency of design that examines our use of household electricals. this toaster has been designed to last for generations and includes some nice details that relate to the products age and longevity. the agency of design have been a bit quiet in recent years so it was great to see one of their new projects! 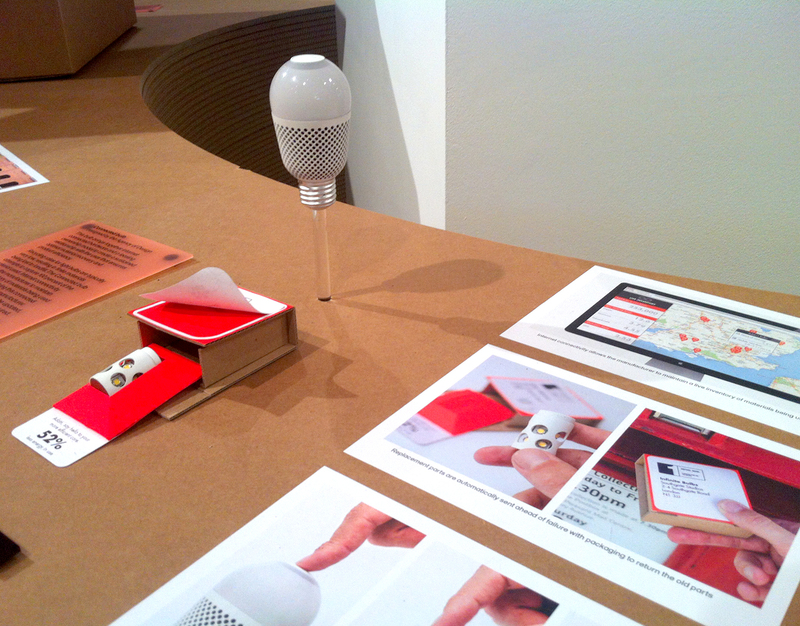 the Connected bulb is a service that monitors the resources of a special modular lightbulb. the internal lighting component can be updated depending on its use and replacements can be sent ahead of failure. 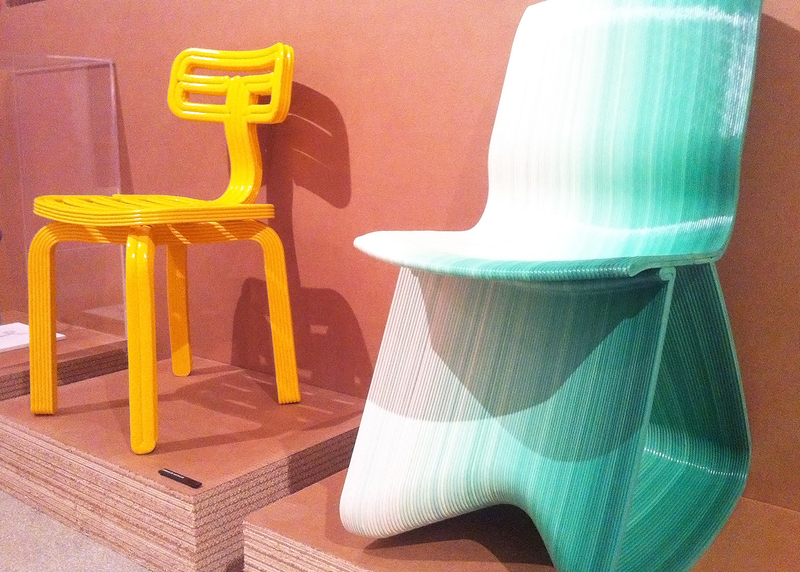 combining the cnc and sustainable themes of the exhibition were two chairs from dirk vander kooij. chubby chair and flow are made from a string of recycled fridges and e-waste. the production video of the chair forming from this melted paste is strangely hypnotic to watch. seeing the chairs up close you really do appreciate the level of thought behind the project. whilst the show features a range of innovations for our household products, could they also transform how we design and build the homes themselves? on display is an impressive cross section panel from facit homes who were recently featured on grand designs. 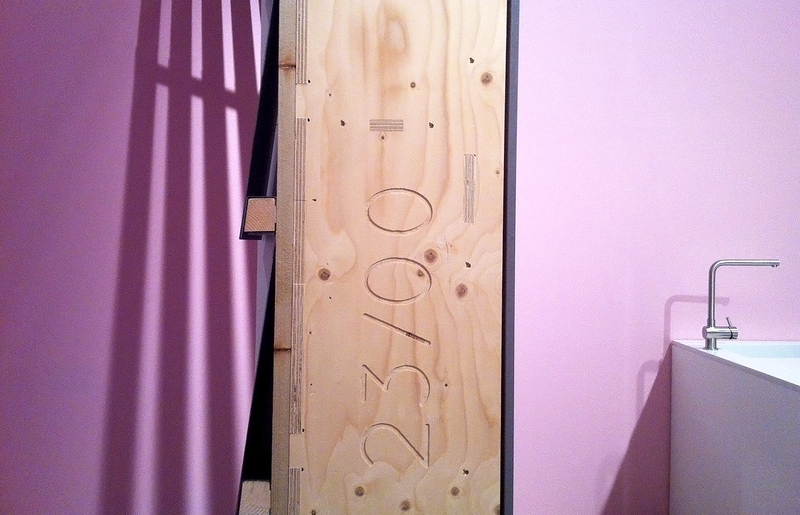 many of these panels are cut on-site in a mobile cnc unit – the data driven from a master 3d computer model. the process aims to reduce construction time and cost as every part of the build is managed and adaptable. as ever a visit to the design museum is always enjoyable. i will miss having a coffee and sandwich by the thames when the museum relocates sometime in the next two years. when that happens, i look forward to see what tech has successfully transferred from the display stand and into our homes. sadly, a lot of things i saw today were a bit too familiar and some felt like they were being shoehorned into our homes. here’s to what the future may bring….